It was so much fun creating this layout. I had prepared the torn border papers on the right previously for another layout, and then used the same paper on this layout. 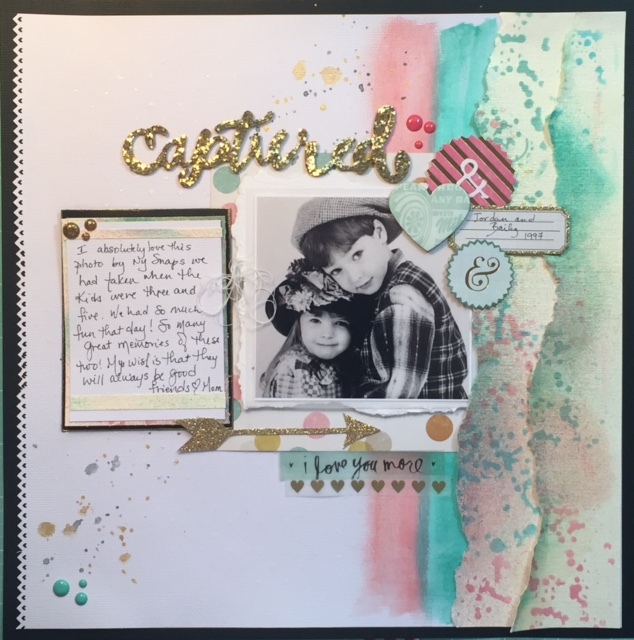 It was created using Distress Ink from Ranger, a stencil, and Heidi Swapp Color Shine. The result is this super shiny, colorful paper for embellishing layouts. I also used a variety of ephemera pieces from Crate Paper Craft Market as well as a piece of 6×6 paper from the same collection. 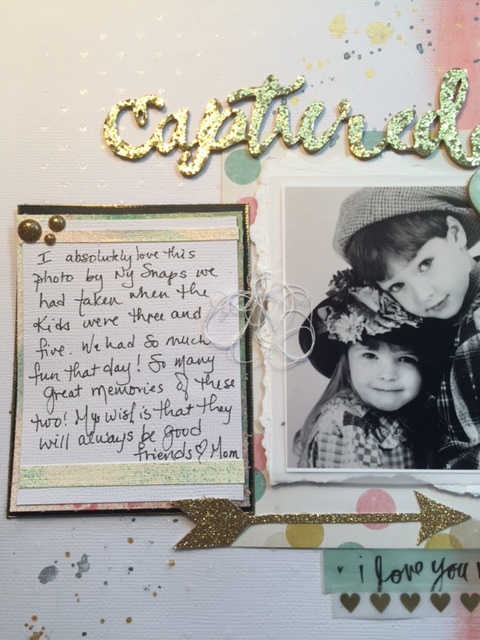 One of the things that was the most fun with this layout was creating the journaling card. I wanted to add some gold to that area, so I used Versamark ink around the border edges of the black cardstock and then put some gold embossing powder on it. I heated it and it created the most beautiful finished border for that journaling area. Then I just added a few embellishments like white thread, enamel dots, mist and voila! You can see a little more detail on the journaling card. I had such a great time making this and remembering this fun time with the kids. They got to play dress up and act up for the camera. The result is priceless photos we will have forever. This hobby is about much more than paper and glue; it’s about documenting life events, our thoughts and ideas that leave a legacy for years to come. Thanks for stopping by!! Have an amazing day! !